Every morning Hakan von Enke takes a walk in the forest near his apartment in Stockholm. However, one winter's day he fails to come home. It seems that the retired naval officer has vanished without trace. Detective Kurt Wallander is not officially involved in the investigation but he has personal reasons for his interest in the case as Hakan's son is engaged to his daughter Linda. A few months earlier, at Hakan's 75th birthday party, Kurt noticed that the old man appeared uneasy and seemed eager to talk about a controversial incident from his past career that remained shrouded in mystery. Could this be connected to his disappearance? When Hakan's wife Louise also goes missing, Wallander is determined to uncover the truth. His search leads him down dark and unexpected avenues involving espionage, betrayal and new information about events during the Cold War that threatens to cause a political scandal on a scale unprecedented in Swedish history. The investigation also forces Kurt to look back over his own past and consider his hopes and regrets, as he comes to the unsettling realisation that even those we love the most can remain strangers to us. And then an even darker cloud appears on the horizon...The return of Kurt Wallander, for his final case, has already caused a sensation around the globe. 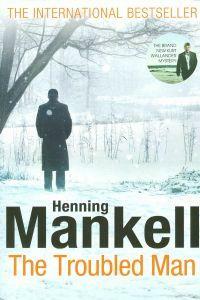 "The Troubled Man" confirms Henning Mankell's position as the king of crime writing. Henning Mankell has become a worldwide phenomenon with his crime writing, gripping thrillers and atmospheric novels set in Africa. His prizewinning and critically acclaimed Inspector Wallander Mysteries are currently dominating bestseller lists all over the globe. His books have been translated into over forty languages and made into numerous international film and television adaptations: most recently the BAFTA-award-winning BBC television series Wallander, starring Kenneth Branagh. Mankell devotes much of his free time to working with Aids charities in Africa, where he is also director of the Teatro Avenida inMaputo. In 2008, the University of St Andrews conferred Henning Mankell with an honorary degree of Doctor of Letters in recognition of his major contribution to literature and to the practical exercise of conscience.